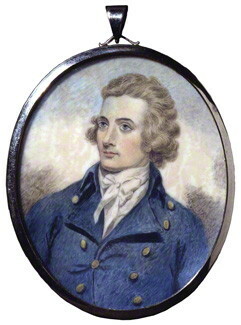 I came across the name Mungo Park after my boyfriend mentioned something about him.. so i took it upon my self to learn more about him as i am a major history freak when it comes to Africa lol.. it turns out i have a lot in common with him other than the fact that we share the same surname..
Mungo Park is also Scottish like me and also had a massive interest for Africa, again, like me lol He was a Scottish explorer of the African continent he was the first westerner to encounter the central portion of Niger River, or so i read.. He studied medicine and botany in Edinburgh university and later went on to do a course in Natural history.. I also read that he completed his studies by completing his exams in London. After studies he then started work and offered his services to The African Association. The African Association was a club dedicated to exploring West Africa. Mongo Park set out for Africa and reached the Gambia River on 21st of June 1795, he then chose the route crossing the upper Senegal basin and through the semi-desert region of Kaarta. He was captured and imprisoned for four months.. i am not entirely sure why but i will find out one day lol.. he then escaped on the 1st of July 1796, he had nothing but a horse and a compass with him. on the 21st of July he reached the long-sought Niger River at Segou, he was now the first European to reach river Niger. He followed the river downstream 80 miles to Silla, where he was obliged to turn back, as he was lacking the resources to go further. On his journey back to Scotland he fell sick at Kamalia. A man then took him in for seven months and helped him. He was thought to be dead but then returned to Scotland with news of discovering the River Niger which brought a positive reaction from the public. He then went on to write a very successful book called “Travels in the interior districts of Africa” which was about his travels all around Africa, how he survived and the people he met along the way which gave Europeans a idea of what Africa is really like. I am yet to read this book as its hard to find after all these yearz, but im looking into finding it. Mungo was then invited back By the government to lead another expedition to the Niger. He accepted, and made his way to Gambia then to Bussa. Mungo park died in Nigeria in 1806 after their ship hit a rock in Bussa and they were attacked with bow and arrows by people, mungo and others on the ship drowned.. One of the slaves who were on the ship, Survived. He then went on to tell the final scene of mungo parks story..
Mungo parks son set out to find his father after being lead to believe he was being imprisoned . unfortunately mungos son died of fever soon after. Mungo Park’s remains are buried along the banks of the River Niger in Jebba Nigeria. After mungo parks death, westerners then started to gain interest in Africa and they wanted to explore more. I find this story very fascinating and could read about it all day! My family and friend like to joke that Mungo Park must be my ancestor lol I also joke about it too.. It is funny that i also have plans to move to Africa and explore Africa and planning to buy a house in Nigera.. Is Mungo park my ancestor? We are both Scottish, both have a huge interest in Africa with Nigeria at the top of the list and we share the same surname hehehe.. Anyway i read alot about him and if any of the information i wrote is incorrect, please feel free to correct me as i am happy to learn more and i am not an expert on Mungo Parks story. This was a long post but i wanted to share this story as i found it very interesting and believe anyone else who loves African History will love it too.. I would also recommend reading his full story as it is more detailed than this post i wrote..